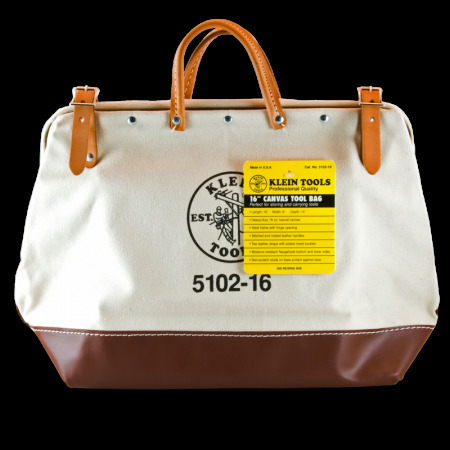 The Klein Canvas Tool Bag is made of one-piece #8 white canvas. Bottom and 3" of lower sides are covered with one-piece Naughyde, cemented and lock stitched. Bottom is protected with steel studs. Mouth has steel frames and handles are harness leather. Bag has two retaining straps and buckles. Made in the USA.